One in three people suffer from malnutrition, and one in nine go to bed hungry, according to the World Food Programme (WFP). Organisations such as WFP have made incredible accomplishments in delivering food aid to vulnerable communities – but humanitarian efforts are not without risk to the relief teams themselves. While food distribution operations save countless lives, there have been situations where a vulnerable group haven’t been reached because of stolen food or humanitarian workers being prevented from reaching them. In some conflicts, food is used as a weapon, and opposing parties may attempt to halt relief operations by any means necessary. Due to the volatility of this sort of situation and environmental constraints, secure HF radio communication plays a vital role in coordinating humanitarian food distribution. When it comes to food aid, secure communications need to be maintained wherever you are in the field. High frequency or HF radio broadcasts data through ionospheric radio propagation. This process involves HF radio waves reflecting off the ionosphere, and being bounced back to Earth where a transceiver can pick up the data. 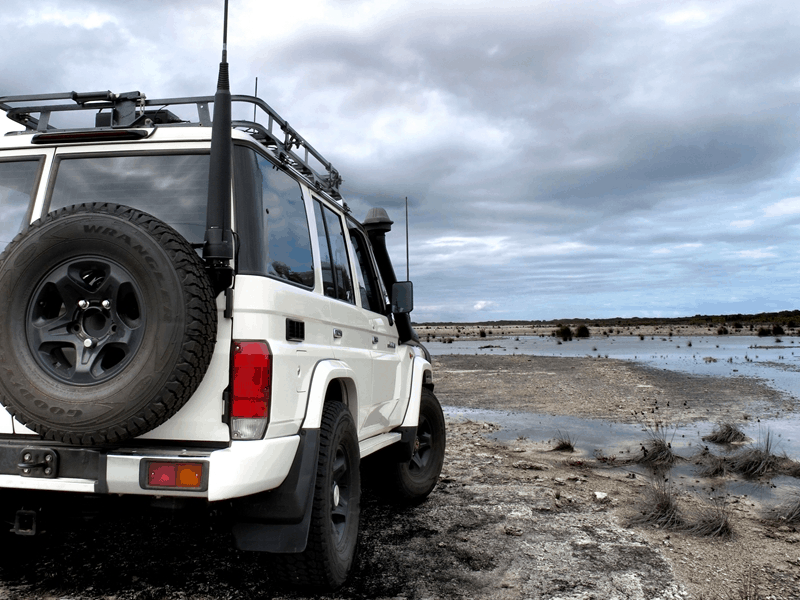 HF radio works without permanent infrastructure or a satellite connection, making these the perfect method of communicating in remote locations. Furthermore, HF radio systems are incredibly secure, with encryption capabilities and secure call options. For humanitarian workers, this security can make all the difference when distributing food aid. Why is secure radio important? The security benefits of HF radio communications cannot be underestimated. By maintaining secure data transmissions, you are both protecting your humanitarian team and those you are supplying with food aid from interceptions or escalating conflict. The Barrett 4050 HF SDR has the ability to encrypt data for secure communications. The encryption process involves scrambling data, which can only be decrypted by a radio with the same access key. This radio also enables frequency hopping, wherein a broadcast hops quickly between different bandwidths, making outside interception incredibly difficult. Frequency hopping is important in secure calls, where you can facilitate point-to-point or point-to-multipoint communications on pre-encrypted voice channels that can only be accessed with a specific code. Establishing a secure HF network is vital in humanitarian food distribution. What is the role of HF radio in humanitarian food distribution? When it comes to humanitarian relief efforts, having these secure lines of communication ensures that your operation can be executed efficiently and quickly, and alerts everyone to risk areas locally and further afield. When sharing sensitive details such as location and food distribution times, having an encrypted or secure means of communication means you can safely continue your operation without compromising information and having to re-coordinate efforts in lieu of an interception. HF radio has the ability to transmit data over thousands of kilometres, so you can keep in contact with your main base wherever you are. If something goes wrong in the field, these mobile lines of communication can operate uncompromised, and ensure that help can get to you as soon as possible. These transmitting radios are important for the community you are helping, too. Access to communication ensures that local medical teams and humanitarians can keep each other updated on the severity of a situation and retain contact should emergencies arise. As HF radio operates on free frequencies, they are a cost-effective way of communicating and a durable enough to function in a range of weather conditions. The 2050 HF Rapid Field Deployment System can interoperably link HF, UHF and VHF transceivers, meaning that communication can be maintained with whatever radio is being used in the area you are helping. The products from Barrett Communications have resulted in many successes in the field, such as establishing an HF network to coordinate food supplies in hurricane-torn Dominica. In this operation, two Barrett 2090 manpack tranceivers and a Barrett tactical broadband antenna were connected to existing transceivers, enabling communication between other stations in the country and supporting recovery work. 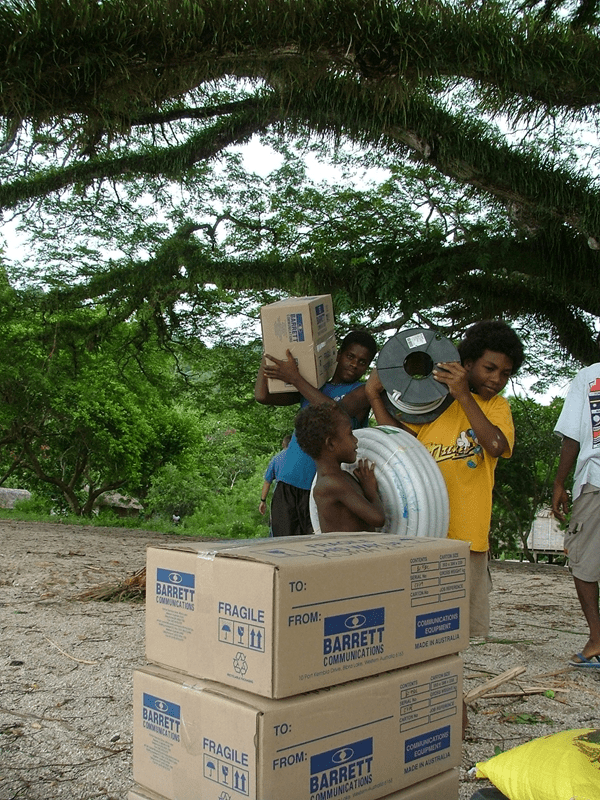 Barrett Communications also provided radio equipment to the people of Tuvalu for severe weather warning. While the island had utilised HF communications for years, the existing radio infrastructure had become inoperable. A combination of antennas, Barrett 2050 HF transceivers and Barrett 2020 email systems were selected and implemented, meaning communication could be maintained following severe weather. For reliable and secure equipment, get in touch with our team of experts to find the perfect HF radio system for your humanitarian operation.